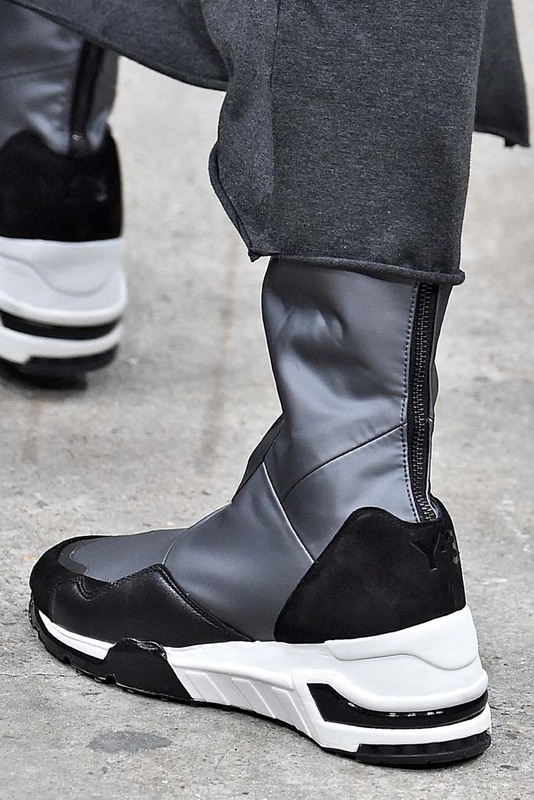 Sights from the Autumn/Winter 2016 show. 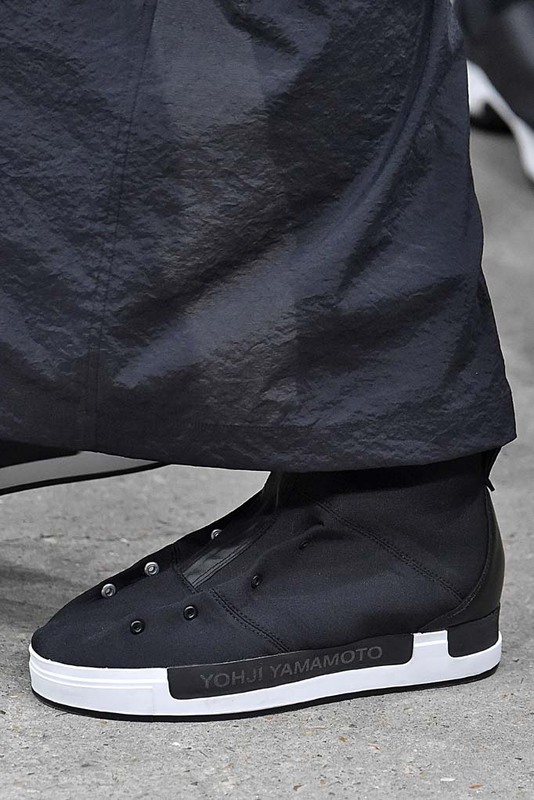 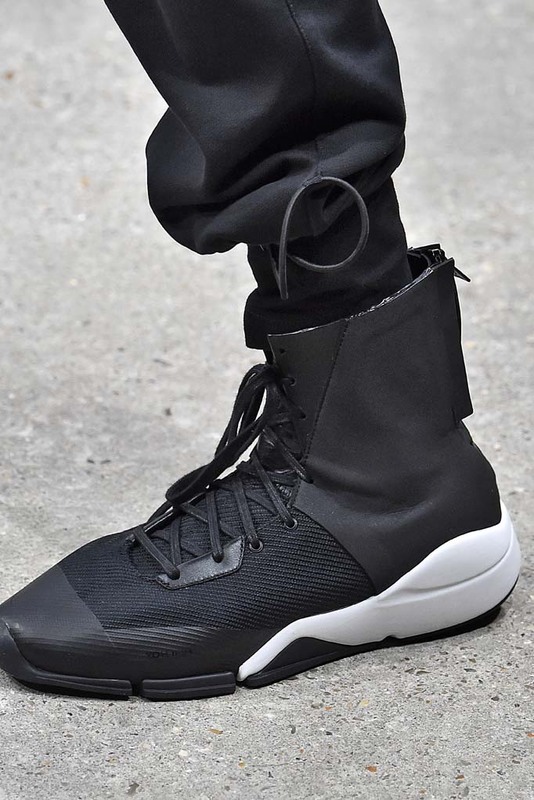 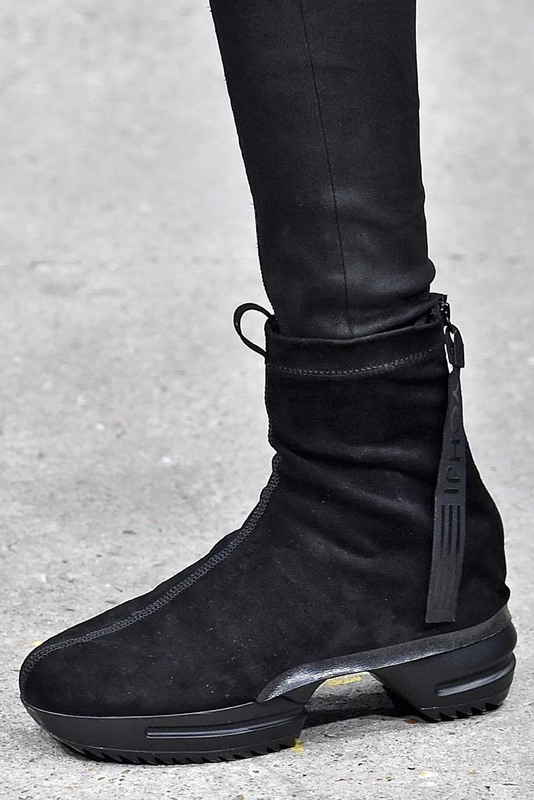 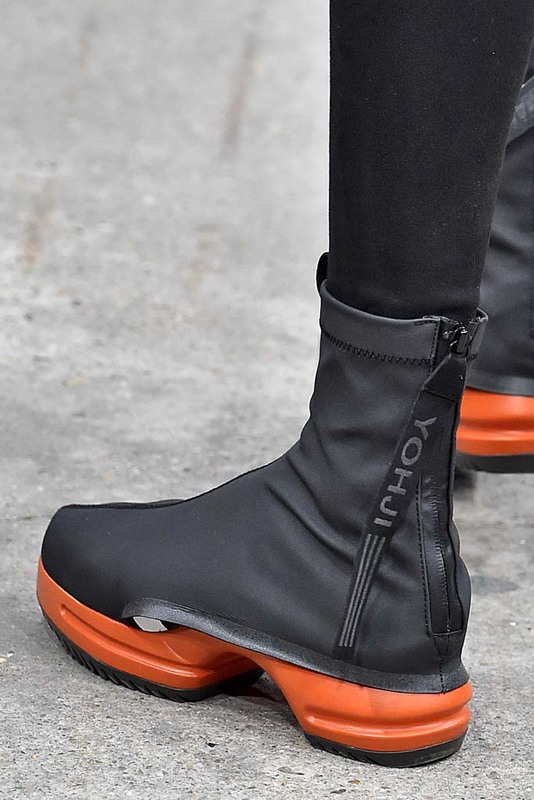 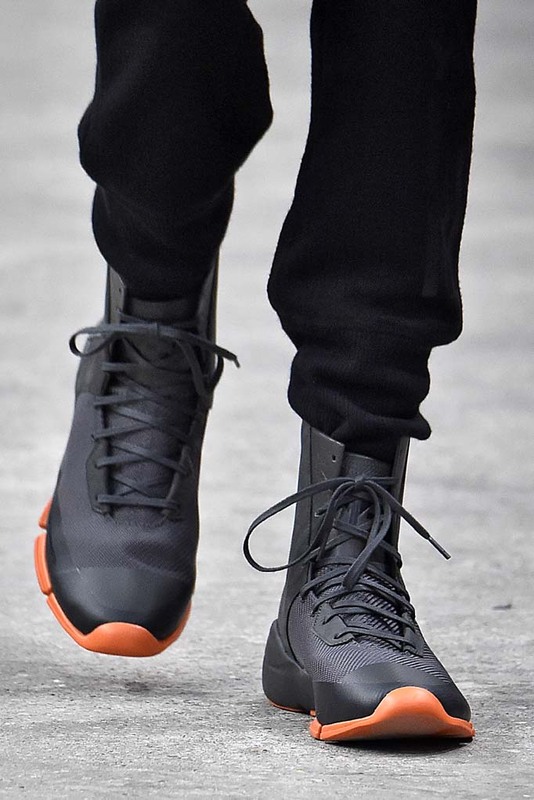 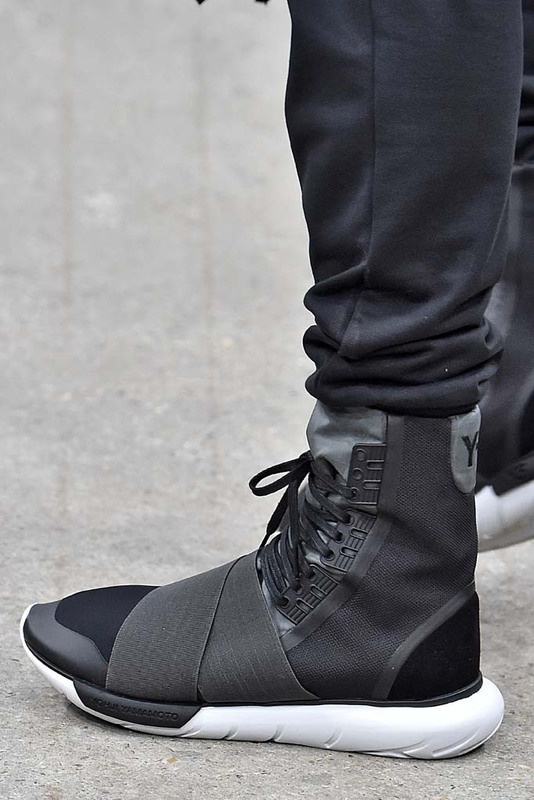 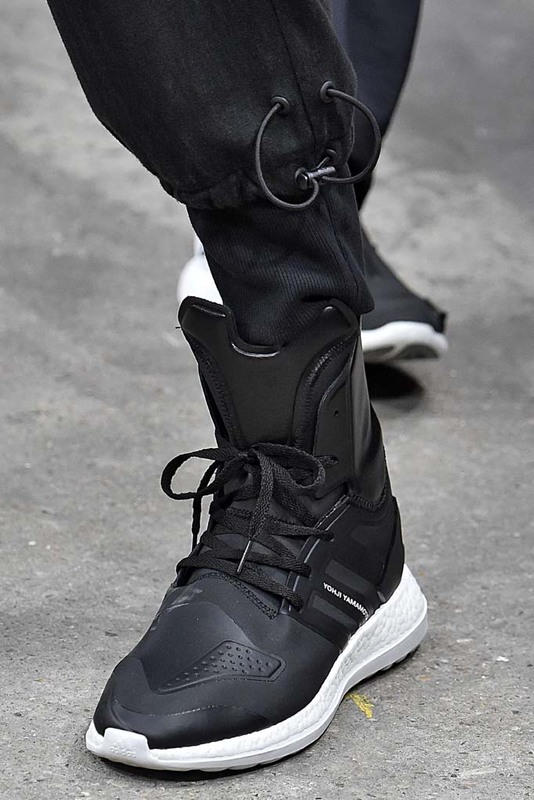 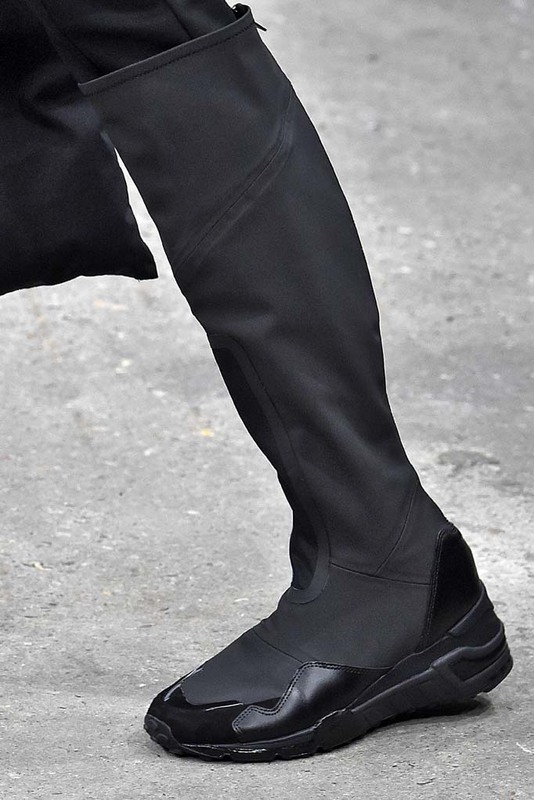 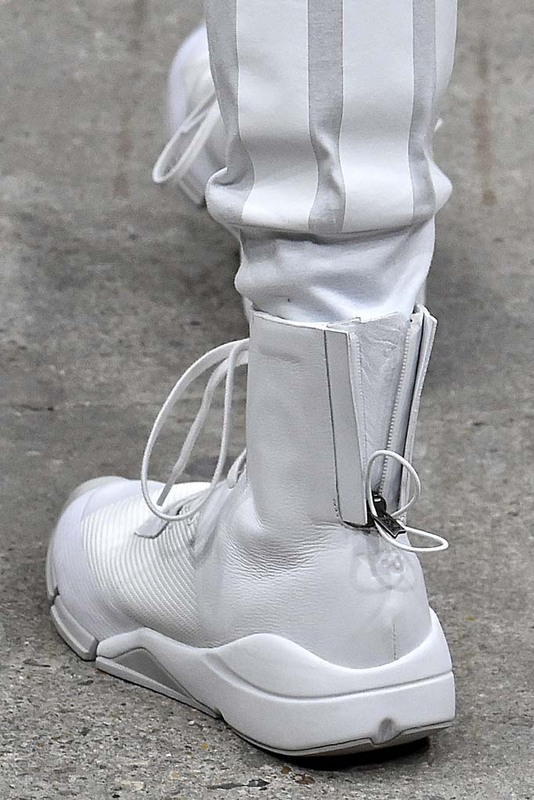 Yohji Yamamoto's bold adidas creations continue with these footwear offerings spotted on the runway at the most recent adidas Y-3 show. 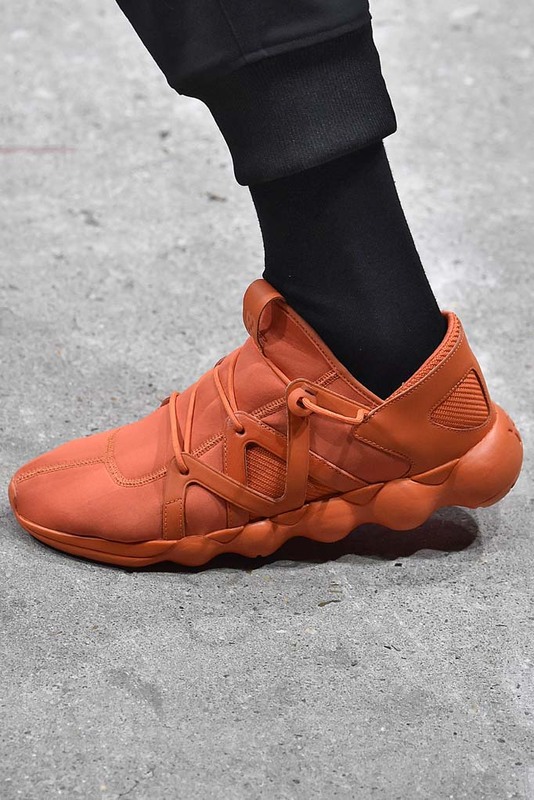 The group is divided into four stories, each with its own aesthetic: Rebuild, 60 Feet Tall, Industrial Sports and Future Sport. 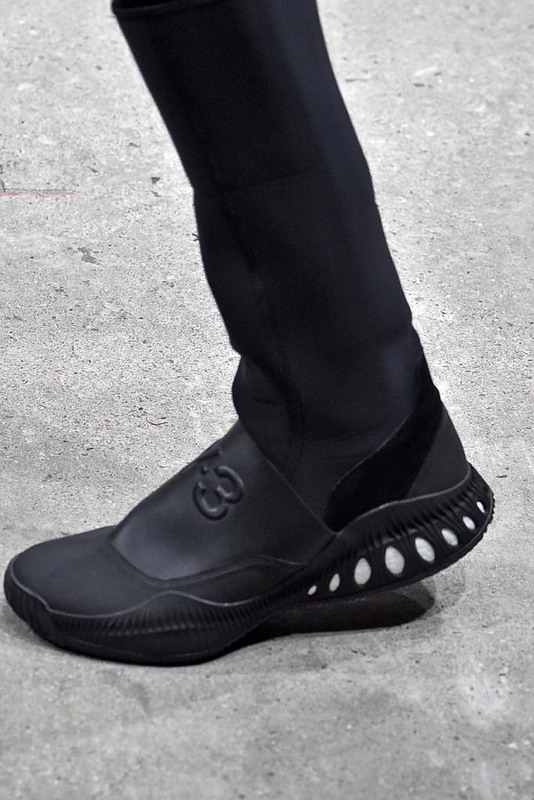 While the shoes are futuristic, they aren't strictly forward thinking. 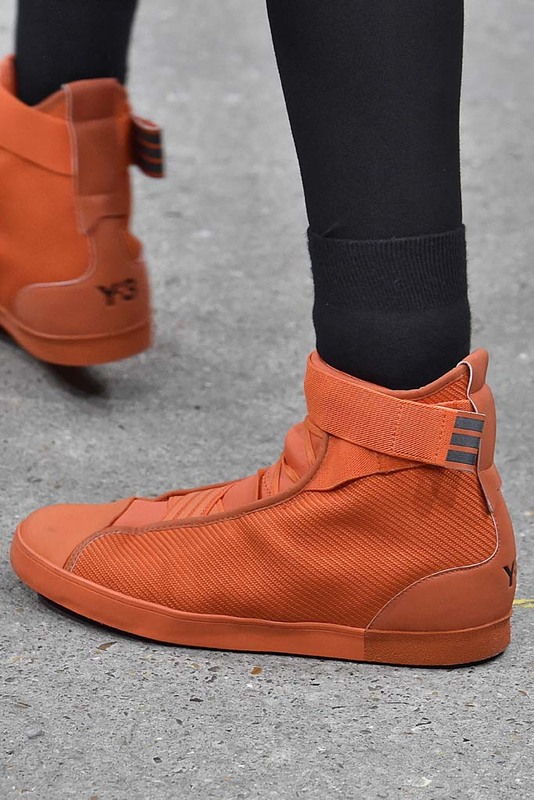 Subtle design cues lifted from adidas sneakers of old appear in some of the shoes. 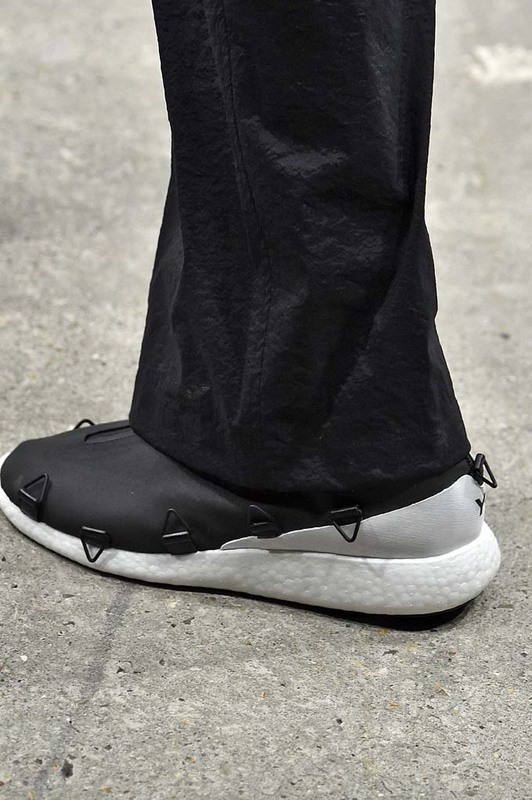 There are Qasa recreations and there's even an EQT nod in one of the dystopian designs. 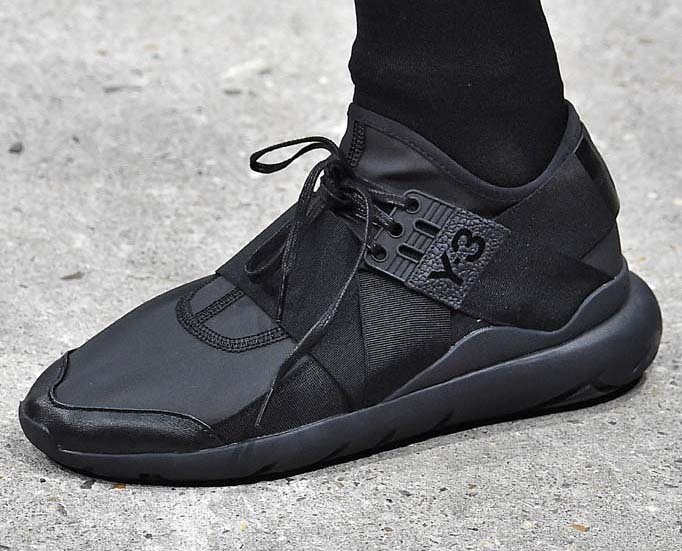 Look for these adidas Y-3 sneakers to arrive in stores for Autumn/Winter 2016.